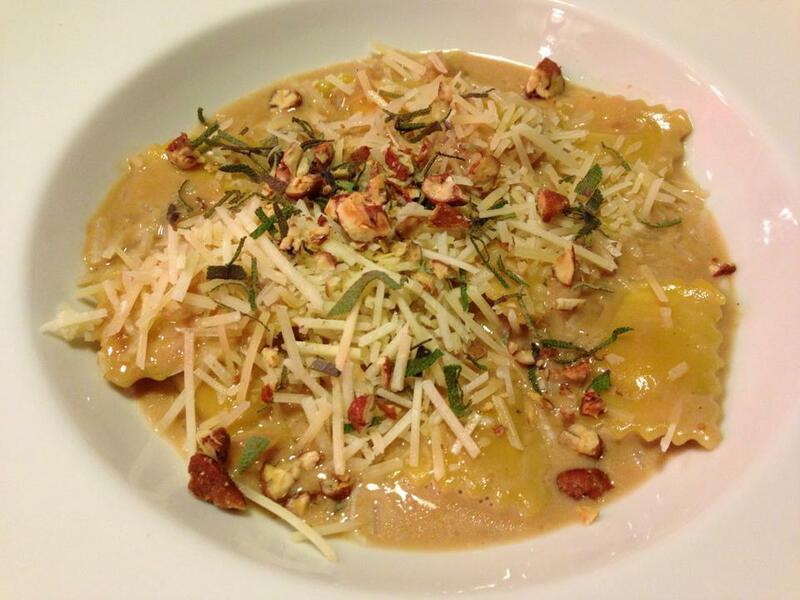 Autumn is upon us and what’s a better dish than a comforting ravioli with butternut squash? I came up with this dish based on autumn flavors that I love. 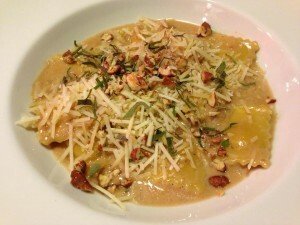 My Butternut Squash Ravioli with Calvados Cream Sauce is an elegant dish for a dinner party. 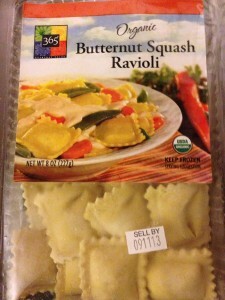 You can make your own butternut squash ravioli — however, I think that Whole Foods Market’s frozen version is just as good. They also make a fresh version. I like the frozen version because it doesn’t fall apart while being heated in the water and stays al dente when tossed with the sauce. 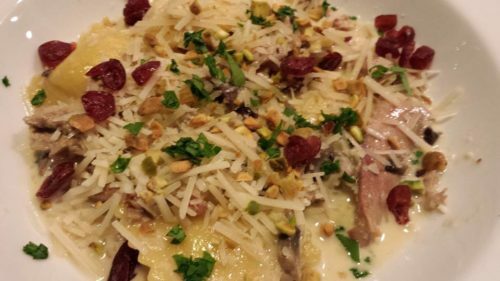 Serve this ravioli with my Pretty Pear Salad with Goat Cheese and Cinnamon Pecans. Add some shredded smoked duck meat and minced garlic to the sauce and garnish with dried cranberries and parsley for a richer flavor. 1. Heat water to boiling in a large stockpot. 2. While water is heating, melt butter in a chef’s pan over medium-low heat. 3. Saute shallots in the butter over medium heat until shallots are translucent. 4. Add the can of vegetable stock and the apple cider. 5. 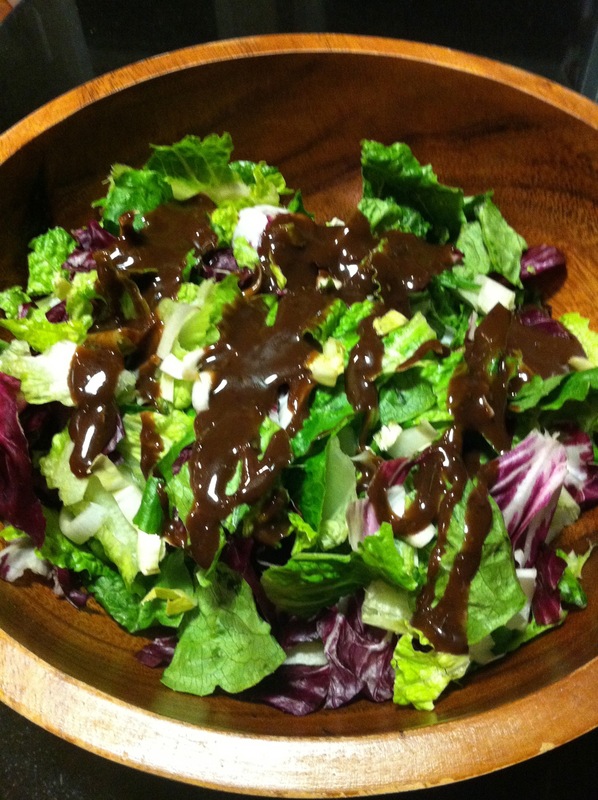 Turn up heat to medium and reduce liquid by half, stirring often to ensure the sauce doesn’t burn. 6. Stir in the Calvados, cream, Parmesan cheese, and nutmeg and continue to cook. 8. When the ravioli is done, drain it and add to the sauce. Toss lightly. 9. Spoon the ravioli and sauce onto dinner plates. 10. Garnish with the additional shredded Parmesan, sage chiffonade, and pecans. 11. Season with salt and pepper. This is a fairly salty dish with the Parmesan cheese so be sure to taste before adding more salt. Serves 2 as a main course, or serves 4 as an appetizer. 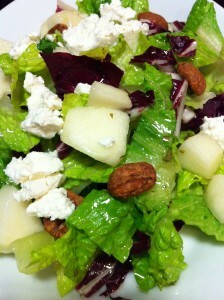 A green salad with apples or pears is a nice accompaniment to this dish. Also, you can serve an apple pie, cobbler, or crumble for dessert to continue the autumn theme. Variations: Substitute half-and-half for the cream and reduce the sauce a bit longer. Saute some peeled diced apple with the shallots, and add some dried cranberries as a garnish. Add some shredded chicken or smoked duck meat. 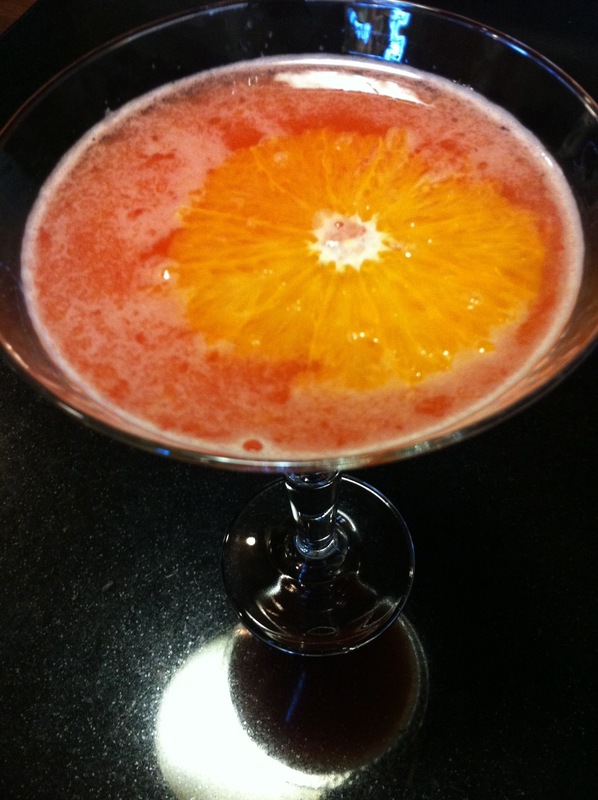 If you are abstaining from alcohol, omit the Calvados and replace with two additional tablespoons of apple cider.